Now that we have Frank Ocean’s Blonde in our hands, it feels like an emotional forever ago (read: an eternity in four days) when we were watching his “visual album” Endless and wondering where the real album was — the Boys Don’t Cry album Ocean teased last summer. Well, Boys Don’t Cry became Blonde and it turns out Endless became the artist’s final contractual obligation to his now-former label, Def Jam. 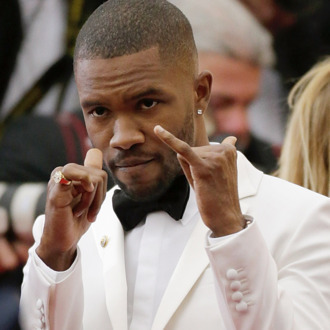 FADER reported the news earlier today, and a source “close to the situation” reportedly told Pitchfork that Endless “fulfills Frank’s obligations to Def Jam and Universal,” which left him free to release the main-event album independently. As Pitchfork points out, “While the credits at the end of Endless name Def Jam, the metadata on Blonde simply credits ‘Boys Don’t Cry,’ which is also the title of Ocean’s new magazine.” So even though that staircase didn’t look like it was going anywhere, it was actually Ocean’s path to freedom. Or something deeply meaningful like that. It’s also being reported that Universal Music Group, which owns Def Jam, “is discontinuing exclusive releases to streaming services such as Apple Music, TIDAL, and Spotify,” which makes it sound like Ocean’s shady-but-effective business strategy really managed to piss off some high-level people at UMG. Not a bad way to burst back onto the music scene, Frank!